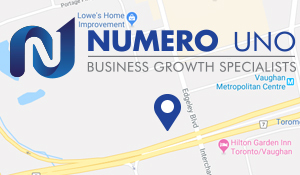 Toronto, Canada, November 19, 2015 – Numero Uno Web Solutions (www.NumeroUnoWeb.com), a fast-growing Internet marketing firm that caters to medium- and large-sized business-to-business (B2B) and business-to-consumer (B2C) companies, is weighing in on a study showing online retail sales will hit a new record this holiday season. Numero Uno Web Solutions is also explaining that brands need to do to ensure their online marketing campaign runs seamlessly. While e-commerce is now a major driver of sales, only one-third of small businesses have web sites optimized for mobile. And unfortunately, sites that are not mobile friendly are driving away a lot of potential customers. A well-designed mobile site not only makes it easier for consumers to shop, but also positively impacts how Google ranks the site.